Description: The Mini Dock is designed to power your Omega for applications that do not require GPIO pins. Its small form factor makes it suitable to use for wireless applications such as WiFi range extension, wireless printing, wireless video streaming and more. The Mini Dock comes with a built-in USB-A port, allowing you to plug and play a variety of USB devices into your Omega. An onboard USB-to-Serial chip provides easy access to the Omega’s terminal directly from your computer. You can provide power to the Omega and dock with any microUSB cable. This dock also includes a regulator circuit that ensures the Omega always receives the stable 3.3V it needs to operate optimally, a power switch to turn your Omega on and off, as well as a reset button that you can press to reboot your Omega; just hold it for 10 seconds to perform a factory restore. The Onion Omega boards we carry are separated into three different categories: Mainboard, Dock and Expansion Board. This board falls into the Dock category, meaning you can plug an Onion Omega directly into the board. 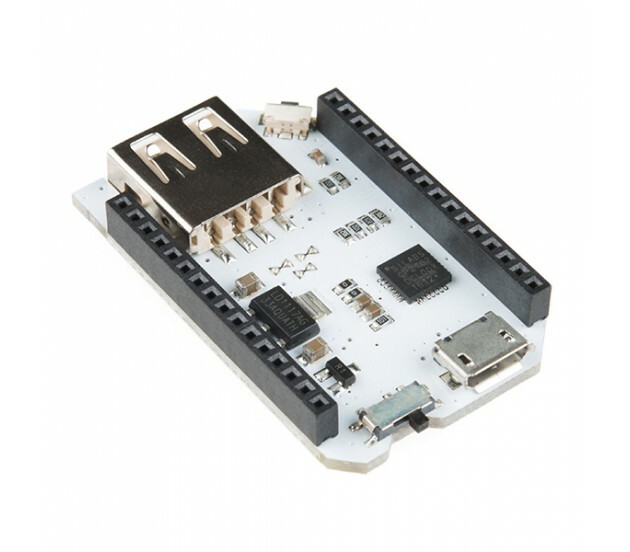 Please be aware that the Mini Dock does not feature any ports for Expansion Boards.